I found the above quote on a Facebook timeline and thought it would make an interesting Thursday Two Questions subject. I do not quite agree with this quote. I absolutely think you can go back and start over. 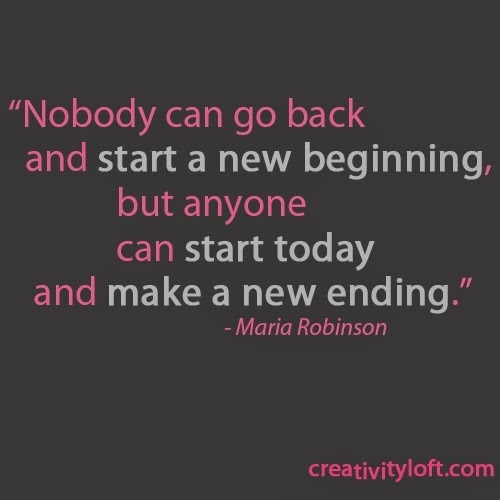 Examples: Getting back with an old love and starting fresh or even going back to an old job and starting fresh. It's all about change and moving forward. If you are the type of person who lives in the moment then I think going back with a new perspective is really moving forward in a new direction with a fresh outlook. 1. What is your opinion on going back? 2. Do you believe going back prevents you from moving forward? 1) I would love to be able to go back, if I could choose where and when. I agree with you. We all change and sometimes it is very subtle but enough that we can probably relive the same event differently if we wanted to. 2) Not at all! I think going back could also mean a stronger future. Have a wonderful week Jo!